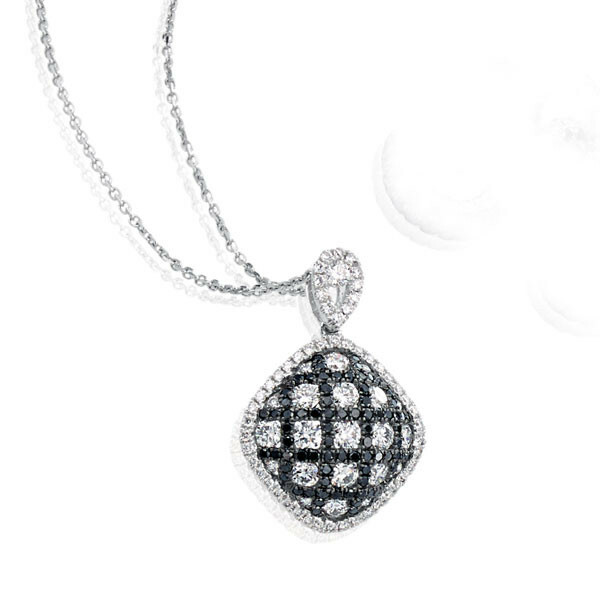 This 18kt white gold pendant features a checkerboard motif with black and white diamonds and an open teardrop-shaped diamond bail. A total of 150 stones shimmer and shine (74 white and 76 black) in the piece. An 18" white gold chain is included with the square-shaped pendant. Make your move today; order this diamond pendant necklace!